Ep. 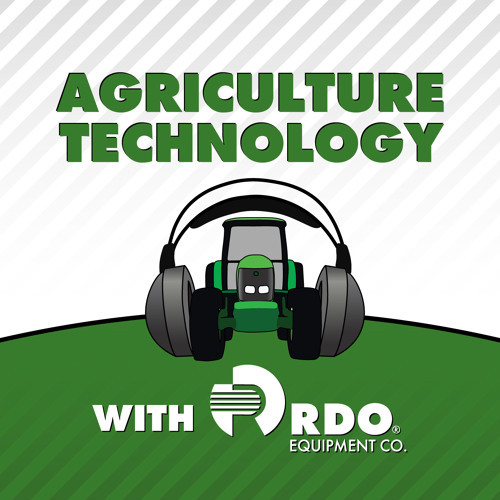 67 Big Data With Terry Griffin Part 1 by RDO Equipment Co.
Join Tony Kramer this week as he talks with Dr. Terry Griffin (aka @SpacePlowBoy), a Cropping Systems Economist at Kansas State University. Dr. Griffin fills us in on what Big Data and IOT are, and how those in the agriculture industry can leverage this information on the farm. To learn more, follow Terry Griffin on Twitter @SpacePlowBoy. You can also follow Tony Kramer and RDO Equipment Co. on Twitter @RDOTonyK and @RDOEquipment. Be sure to visit our website, www.rdoequipment.com, and follow us on Facebook, Instagram, and LinkedIn for the latest news and updates on John Deere and RDO Equipment Co.